Birth of a child is a joyous occasion for every family. Sunnah of the Prophet Muhammad (peace be upon him) is to offer an aqeeqah or sacrifice for the newborn. Prophet Muhammad (peace be upon him) and his companions used to perform aqeeqah when blessed with a child. Aqeeqah, in Islamic terminology and is defined as a sacrifice of an animal on the occasion of a child’s birth. This is to be performed by the parents or guardians of the child. One Nation is now offering an aqeeqah service, where the meat is cooked and served with rice and distributed to the poor and needy. 1 sheep is sacrificed for a girl and 2 for a boy. 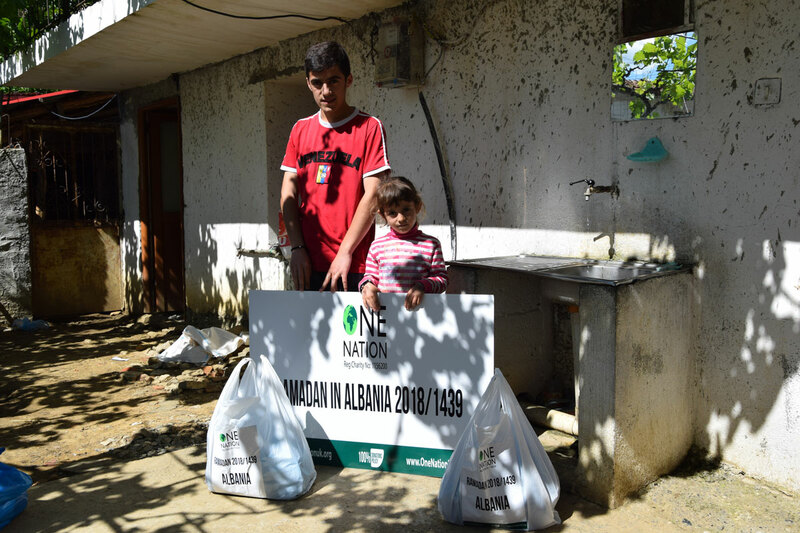 One Nation provides a service were you are able to give a sadaqah sacrifice, intention could be for yourself, loved one or on behalf of a deceased. The meat is cooked and served with rice and distributed to the poor and needy. As a donor, your name will automatically be included in pictures unless you expressly state otherwise. If you are donating in memory of someone, please spell their names correctly. If no names are specified, only your name as the donor will appear on the feedback.